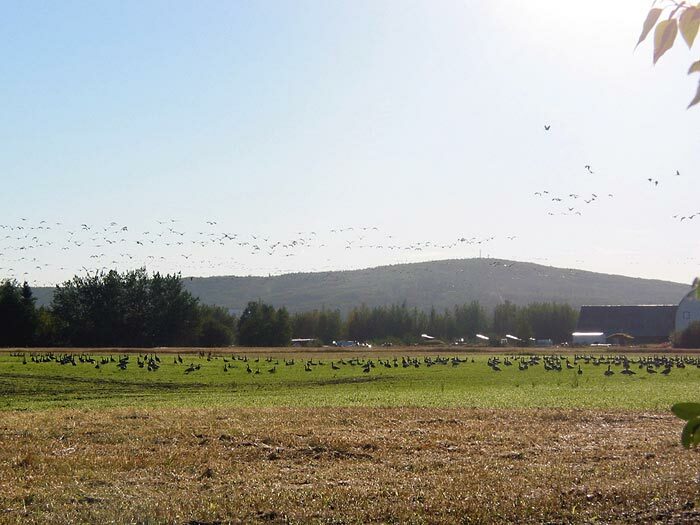 Creamer's Field Migratory Waterfowl Refuge is an 1.800-acre bird observatory on College Road in Fairbanks. It used to be Charles Creamer's dairy farm, till 1966, when he sold it to the Alaska Department of Fish and Game. 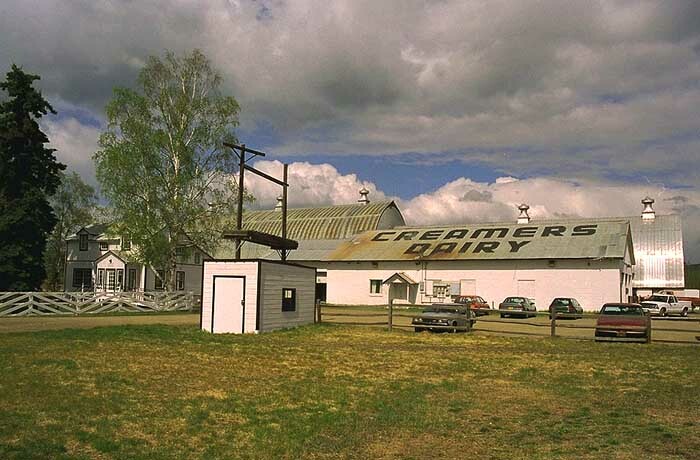 Founded in 1904 Creamer's Dairy is the oldest in the state of Alaska and the northernmost in the Western hemisphere. 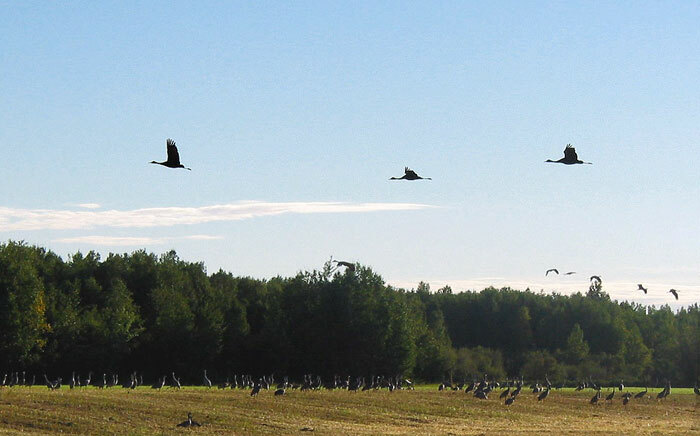 Today Creamer's Refuge plays a special role in the lives of migratory birds like sandhill cranes, Canada geese, pintails, golden plovers,shovelers, and mallards. Some birds, including chickadees, redpolls, ravens and owls, remain at Creamer's the entire year. There's a Visitor Center in the farmhouse. Bird watchers can choose from three nature trails and climb on a 20-foot-high observation platform. Bring your favorite mosquito repellent! The history of Creamer's Dairy begins during the gold rush at the turn of the century, when Belle and Charles Hinckley brought three cows and some horses from Nome up the Yukon and Tanana Rivers to the small outpost of Fairbanks to operate a dairy. They paid for their passage on the sternwheeler by selling milk to other passengers. On the last leg of the journey, they met and became friends with the Creamers, another pioneer family on their way to Fairbanks. In 1928 the Creamers purchased the dairy from the Hinckleys and continued to develop, enlarge, and operate it until 1966. It was the largest and most successful dairy in Interior Alaska. The sandhill crane (grus Canadensis), Alaska's largest game bird, one of the most stately and dignified birds in flight, but also one of the most comical when doing its famous 'mating dance'. 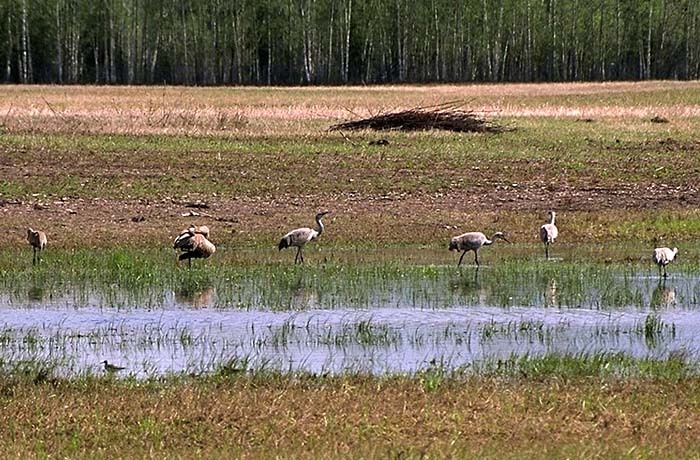 The cranes arrive on Creamer's Field in May and often remain for months, sometimes nesting. In the past, the sandhill cranes in Alaska were called 'little brown' cranes and were thought to be a separate species based on their color.